Cagliari and Fiorentina meet , in a match for the 28th round of the Serie A. These teams have tied (1‑1) in the last head‑to‑head for this edition of the league, played on 21‑10‑2018. In 6 head‑to‑heads in the last 3 years, the away team won 3, tied 1 and lost 2. Cagliari registers significant differences between home and away results, so the home/away factor is worth special attention. The home team is currently in the 14th position of the league, with 27 points won, after 6 wins, 9 draws and 12 losses. In the penultimate match, they won in a home match against Internazionale, by (2‑1). In the last match, they lost in an away match against Bologna, by (2‑0). This is a team that usually makes good use of the home advantage, stronger with the help of its supporters, since in the last 30 matches they register 2 wins, 3 draws and 10 losses in away matches, with 9 goals scored and 28 conceded; against 6 wins, 6 draws and 3 losses at their stadium, with 17 goals scored and 14 conceded. In the last 10 home league matches Cagliari has a record of 5 wins, 3 draws and 2 losses, so they have won 18 points out of 30 possible. The most recurrent result at half‑time in their home league matches was the 1‑0 (6 out of 13 matches). Defensive consistency hasn’t been their best feature, as they have conceded goals in 9 of the last 10 matches for this competition. They have conceded the first goal in 17 of their 27 matches for this competition, and have only turned the score around in 1. 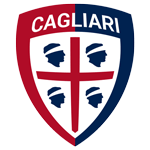 Cagliari come to this game after a 2-0 loss at Bologna, registering the second defeat in the last three games. It is important to point out that the hosts won only 5 of the 13 matches played at home. In this match against Fiorentina, the team led by Rolando Maran should play with a low block, exploring the space in the opponent's back in the best way: Simone Padoin is the main player in this type of transition. Leonardo Pavoletti is Cagliari's top scorer, with 10 goals scored. For this game the coach will not be able to count on Filip Bradaric due to suspension. Confirmed Lineup: A. Cragno, L. Ceppitelli, F. Cacciatore, C. Lykogiannis, F. Pisacane, P. Faragò, L. Cigarini, João Pedro , A. Ioniţă, N. Barella, L. Pavoletti. The away team is currently in the 10th position of the league, with 37 points won, after 8 wins, 13 draws and 6 losses. In the penultimate match, they lost in an away match against Atalanta, by (3‑1). In the last match, they tied in a home match against Lazio, by (1‑1). This is a team that usually maintains its competitive level in home and away matches, since in the last 30 matches they register 4 wins, 7 draws and 4 losses in away matches, with 20 goals scored and 18 conceded; against 6 wins, 7 draws and 2 losses at their stadium, with 34 goals scored and 19 conceded. In the last 10 away league matches Fiorentina has a record of 3 wins, 6 draws and 1 loss, so they have won 15 points out of 30 possible. In their away league matches the most frequent result at half‑time was the 0‑0 (7 out of 14 matches). Defensive consistency hasn’t been their best feature, as they have conceded goals in 8 of the last 10 matches, but their offense has scored consistently, as they have scored goals in 7 of the last 10 matches for this competition. In their away matches there is a tendency for few goals, since 9 of the last 14 matches for this competition have ended with Under 2,5 goals. In 27 matches for this competition, they have conceded the first goal 10 times and have only turned the score around in 2. In the last 14 away matches for this competition there is 1 period that stands out: they have scored 7 of their 18 goals between minutes (76'‑90'). 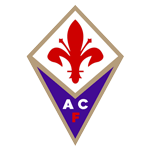 Fiorentina come to this match with a 1-1 home draw against Lazio, thus registering the fourth straight match without winning in this competition: the only goal of the team was signed by Muriel. It is important to note that the away club won only 3 out of 14 away games. On this day, it is expected that coach Stefano Pioli will play in the usual tactical system, namely the 4-3-3, Federico Chiesa being the main responsible for creating the offensive process. Midfielder Marco Benassi is the team's top scorer in the league, with 7 goals scored. For this game the coach will not be able to count on Veretout, suspended, besides Lafont and Pjaca, both injured. Confirmed Lineup: P. Terracciano, F. Ceccherini, N. Milenković, G. Pezzella, C. Biraghi, Gerson, M. Benassi, C. Nørgaard, K. Mirallas, L. Muriel, F. Chiesa. The most likely scenario for this match will be Fiorentina not to lose. The away team have better weapons compared to the opponents of this round, hoping to score at least one point in this match. On the other hand, Cagliari have revealed great instability in their results, and in this game, most likely will not be able to win. In this way, betting in favor of '' Draw no Bet of Fiorentina '' is the best option.